1. 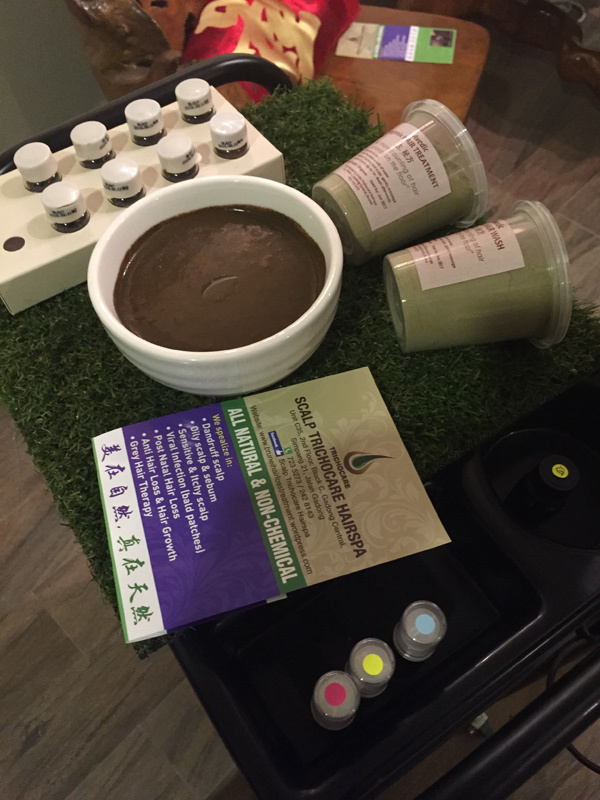 The ingredients and hair paste for the scalp treatment at Scalp Trichocare Hairspa. All the ingredients used natural and contain no preservatives.